Greg plays under Gem’s rules. 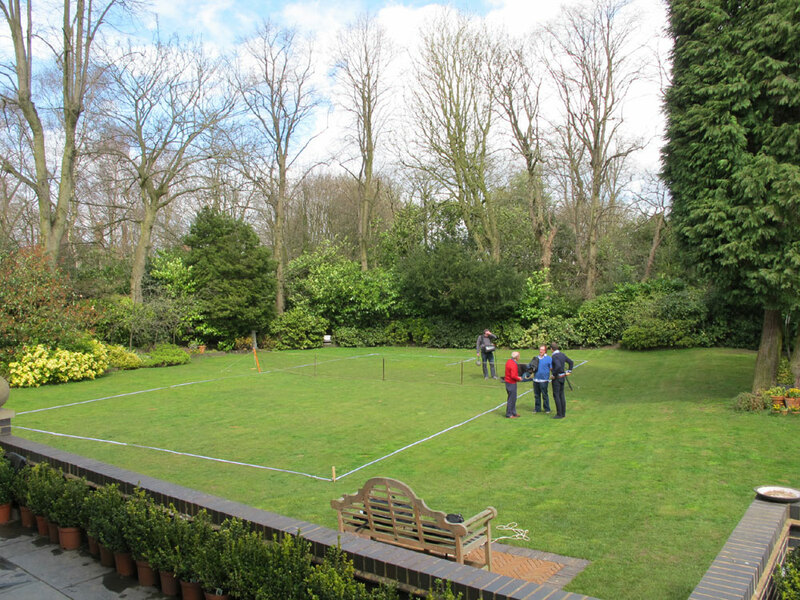 Wednesday 18th April 2013 saw trustees Chris, Sue and Robert at Fairlight, Ampton Road, Edgbaston to recreate once again Gem and Perera’s lawn rackets court in the garden of the Perera’s former home. 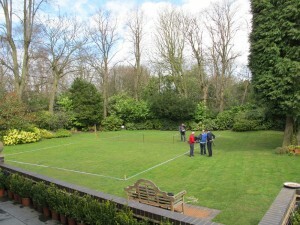 Chris Elks, in red top, discusses the finer points of the court layout and camera angles with the director and crew. We were helping an ITV crew to shoot a short piece for an upcoming series, Britain’s Secret Homes, about houses with unusual, little known histories. 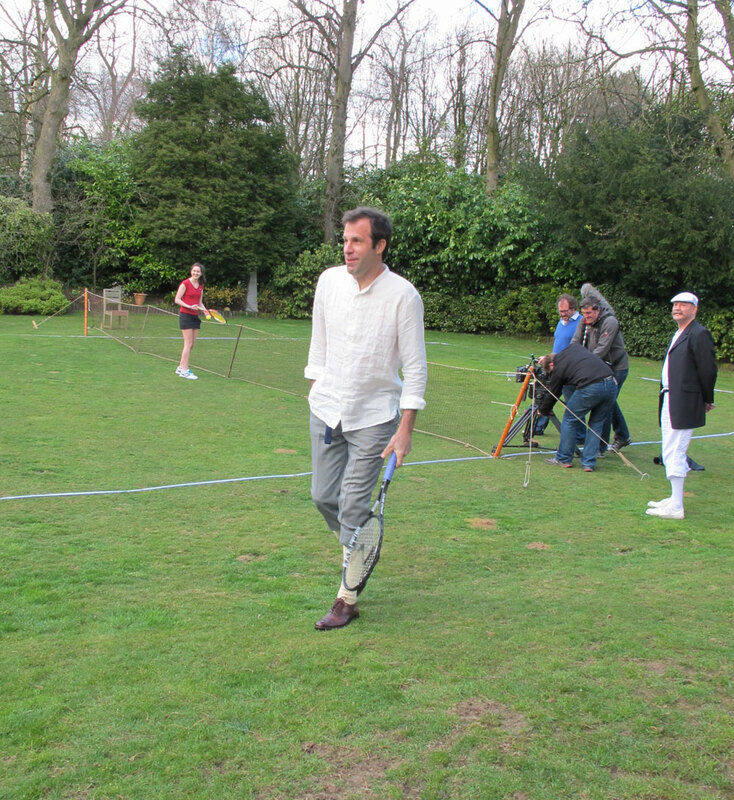 Greg Rusedski was the presenter of this particular edition. Dressed in costume vaguely akin to that his Victorian forebears might have worn to play, Greg gamely entered into the spirit of the occasion and, using a replica racquet, played a game under the essentials of Gem’s original rules. The ladies champion is ready, the crew is ready, the umpire is ready but Greg goes for a walk! 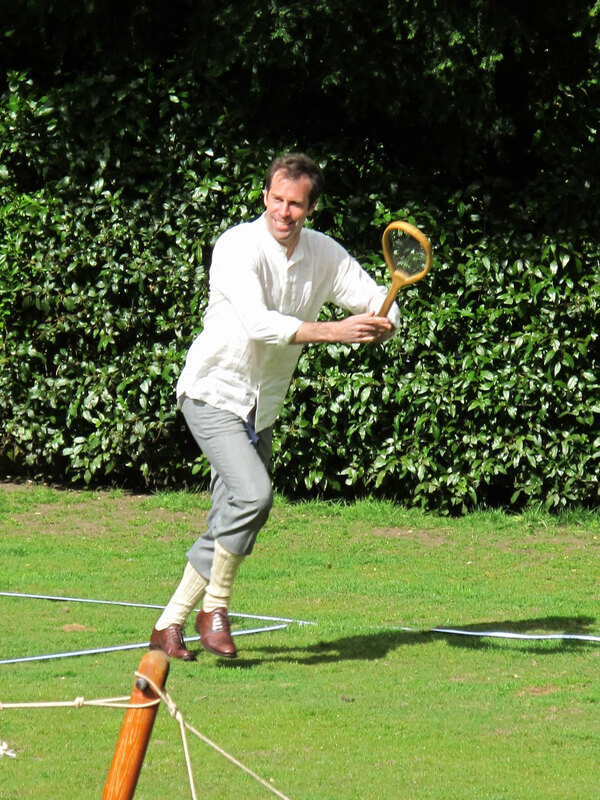 Representatives of the University of Birmingham’s Ladies tennis squad, including their current champion, were on hand to give Greg a knock, as were some of the men’s team players from Edgbaston Archery & Lawn Tennis Society, the oldest lawn tennis club in the world. 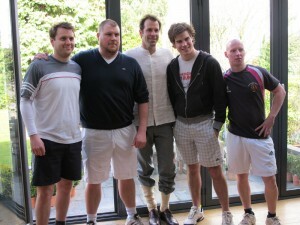 Watch the video here on our Facebook page.